It was a productive week for me. I have been feeling guilty about my netgalley account so I decided to explore how many books I am behind. I discovered that I had numerous books downloaded onto my device. I had even read some of them, but didn't write one word. I am surprised that Netgalley still lets me have anything to do with them. I finished the last session of the Backyard Beekeeping workshop this weekend. I have decided that I need to work as an apprentice beekeeper before investing thousands of dollars and killing off my poor bees. There are a lot of diseases and pests to worry about! Ada hung out with me Friday night while everyone else in the house watched a creepy movie downstairs. While I was reading my adult book, I looked over and caught this. I watched for a bit before grabbing my phone. This is what a nine month old reader looks like! The art in this book is just stunning! Ada wasn't as impressed as I was, but I figure that given a few more readings, it will become one of her favourites. I read this one with Everett while I was babysitting him. We both enjoyed it. Both the images and the rhythm in the poetry are so much fun! Then I went looking for the song so that 'we' could sing along with it. 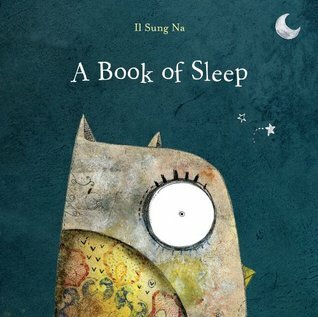 There is an official song to accompany the book, but we (I) like this version best. Thank you Myra G for reconnecting me with Suzy Lee! This gentle book by Bernard Waber showcases a loving relationship between a father and his daughter. Suzy Lee's gorgeous illustrations in it are just perfect! This is an important book. 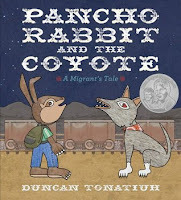 When a young rabbit's papa doesn't return home from working in the fields of the north, he heads out in search of him. Through his journey readers learn what it is like to travel to a new land as an 'illegal' migrant worker. Duncan Tonatiuh's art blows my mind just like it always does. The back matter provides vocabulary explanations as well as including more in depth information. 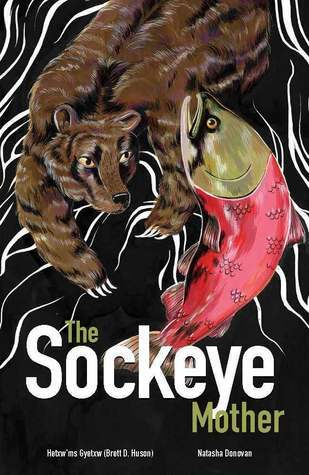 This is a book that provides information about the life cycle of the salmon through the lens of the Gitxsan people in Northern BC. 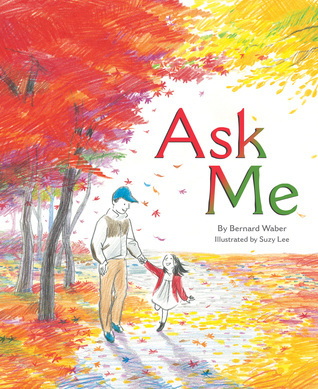 It's a beautiful book that takes the reader into a different way of knowing the world. 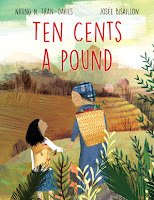 If you want to see more of Natasha Donovan's gorgeous illustrations, click on the link to my blog post about it. This is a wonderful introduction to the world of frogs. It provides plenty of basic information in two formats. The large print on the page reveals a main idea and then the small print provides additional information. The end papers show frogspawn and tadpoles in different stages of development. 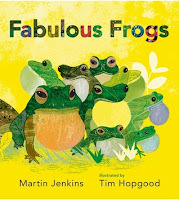 The first two page spread is filled with information about frogs and shows the different stages in a frogs life in silhouette. The next page spread takes the reader to the title page. There is an index at the back of the book. While I appreciate information books filled with photographs, I think there is also a place for illustrated gems like this one, especially one about frogs when the artist's last name is Hopgood! 5 stars just isn't enough! Grumpy reminds me a lot of my partner, who we call Grumpy, because he is VERY grumpy in the mornings no matter how much he loves his grandbabies. Perhaps this Grumpy isn't a grandparent. I suppose Grumpy could be a favourite uncle. What's certain is that there sure is a lot of love between Charlie, Mouse and him. Like the first in this series, we get to spend time with this delightful family while they go about their daily business of ordinary living. I have so much love for all of them! I started writing a few words about this book, but the more I wrote, the more I had to write about. I've decided to do a full blog post about it. Besides, since I gave Leroy Ninker, Francine Poulet, and Baby Lincoln their own posts, it's only fair that Eugenia get her own too! The most important thing about this book is that like the other books in the Deckawoo Drive series, it is as much for adults as children. The Pemmican Wars refers to a little known chunk of Canadian history. The Metis were caught in the middle of a conflict between the two main fur trading organizations: the Hudson's Bay Company and the North West Company. Readers learn more about this through Echo, who travels back in time to 1814, and experiences these events first hand. Check out the blog post if you want to know more and are interested in seeing samples of the stunning artwork. 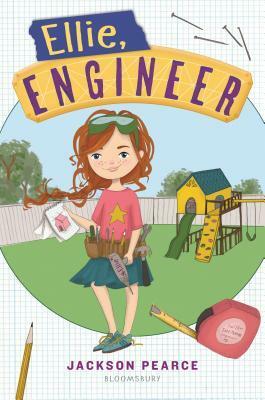 I am delighted with this novel about a young girl's who loves frilly dresses and making things. The image of a young girl in a poufy dress with a work belt fastened around her waist epitomizes the gamut of available choices we want for our children. Ellie ends up getting into trouble when she enlists different people into helping her make a surprise gift of a doghouse for her best friend's birthday. I had some trouble with the initial boys vs girls dynamics, although the characters do seem to deal with it positively by the end. This is a sweet novel about a young girl and her mother who end up homeless. Sugar, the protagonist, is a character you can't help but cheer for. When her mother has a mental breakdown, Sugar ends up in foster care with a loving couple. It isn't certain by the end of the book whether or not she will return to live with her mother, but there is certainly hope. This was darkly compelling. I was hooked almost immediately. Six years ago most of the inhabitants of the castle were poisoned and died when someone put arsenic in the sugar bowl. Merricat Blackwood, her elder sister Constance, and their frail Uncle Julian, are the only survivors. Constance was charged with the murders but in the end was acquitted. She now suffers from agoraphobia and doesn't leave the house. Merricat has to go into town and deal with the hatred and harassment from the villagers. When their cousin Charles shows up, he manages to fool Constance into thinking he is on their side. Uncle Julian and Merricat know better, but John still ends up bringing disaster upon them. Although it isn't spoken of til the end of the book, figuring out who really poisoned the family is pretty obvious. It's the intimacy of the everyday evil in this story that is both fascinating and terrifying. Thankfully it is countered with an abundance of unconditional love. 5 stars isn't enough for this one either! 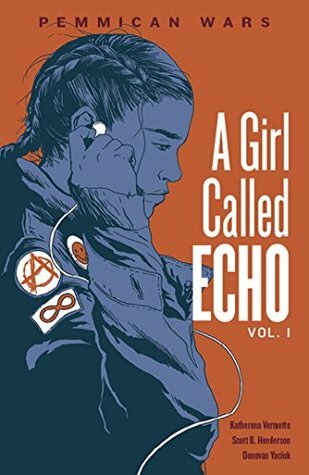 It's authors like Leanne Betasamosake Simpson that make me thankful for setting a goal to read more Indigenous Canadian authors. I honestly have no words that can come close to doing her work justice. It's at times tender, brutal, profound, snarky and hilarious. Then I imagine myself getting all aggressive in trying to get them to see the double standard reporting flooding in Calgary and not reporting flooding in say Attawapiskat. But they never get that. Because it’s inconvenient for them we’re not dead. The whole scenario doesn’t even make sense, because the CBC only wants our opinions on corrupt Chiefs, child poverty, and conflict within the AFN. I can't recommend this collection highly enough! I'm in the middle of Thousand Star Hotel by Bao Phi! It's also a window into another way of knowing the world. The Bee Book, a DK title is consuming my nonfiction reading life these days. I will purchase if I decide to get serious about keeping bees. Starry River of the Sky by Grace Lin and read by Kim Mai Guest is the audiobook I'm listening to. I'm reading Precious Cargo: My Year Driving the Kids on School Bus 3077 by Craig Davidson. I'll listen to whatever comes available next. The Truth as Told by Mason Buttle by Leslie Connor is next on my reading with my eyes list. I'm still hoping to get to Oil's Deep State: How the petroleum industry undermines democracy and stops action on global warming - in Alberta and Ottawa by Kevin Taft. It's just that these days my fascination with bees gets in the way! I love Charlie and Mouse. Such sweet characters! They sure are, and it's even more wonderful that they are based on her own children! I love watching Ada with her book. Obviously she knows what to do! I loved Pancho Rabbit and The Coyote, awesome analogy. And I loved Eugenia Lincoln, a lovely turn for that grumpy woman. Hope you find a way to apprentice with the bees. A friend is a beekeeper & I agree, sometimes she loses them & sometimes she doesn't know why! Thanks, Cheriee! Ada is sure going to be a reader. I love those facial expressions and the noises she makes like she is really reading. Eugenia connected to something deep in me. I'm not sure if it is good or bad, but it is important. What a great video. A wonderful indicator she'll be a reader for sure. Isn't it just -I like to think she already is a reader! 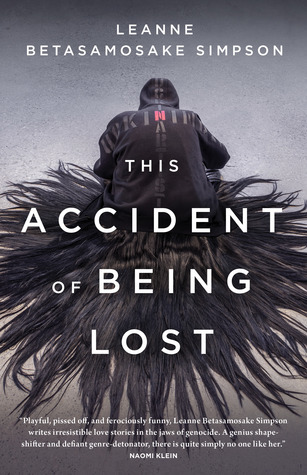 I'm adding This Accident of Being Lost to my TBR file. 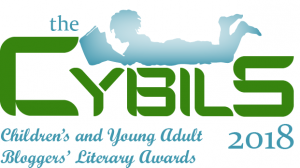 I primarily read kidlit, mglit, and yalit, but this one looks very important. Thanks for sharing. And I've had The Truth as Told by Mason Buttle on my list for a while. My hold even came up to where I could check it out, but then I had to pass at that time (too many books checked out). But I'm really looking forward to squeezing that into my reading calendar. Sandra Boynton came to my rescue countless times. Barnyard Dance was a favorite. I had NO idea there was a song to go with it (and I usually like to look that kind of thing up) so that's for pointing it out. 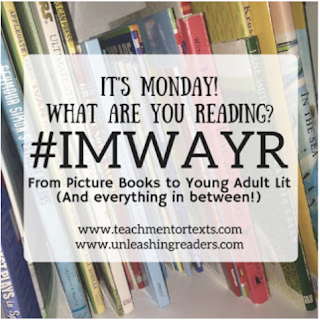 Do you mind sharing what program you use to do your weekly collage of books on Twitter? It looks so nice as a quick "at glance" photo -- I really like it! Thanks for the comment about the collage of books. I use photoshop to create it but there might be easier software out there. 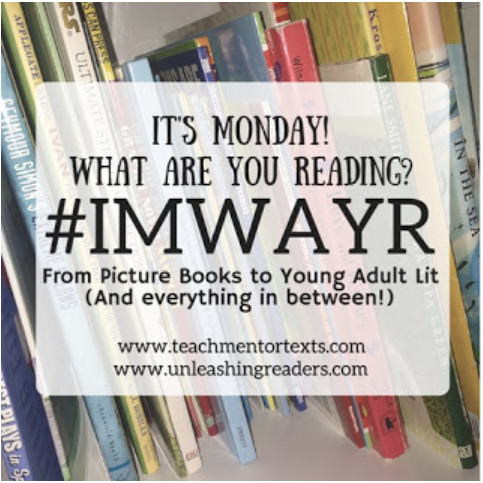 After I retired I started reading more adult literature, although I always read some to keep reading from being to work related. I still think there are few things as fine as a really well written middle grade novel! 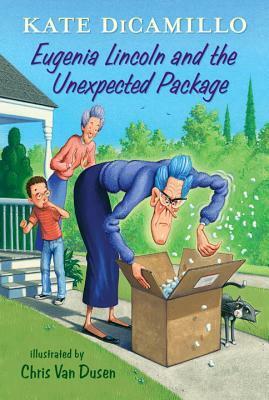 Eugenia Lincoln and the Unexpected Package is such a fun book! I loved it! Good luck with the beekeeping project. I can’t wait to see how it goes. Have a great week! I am looking for an apprenticeship with a really good beekeeper. Beekeeping is much more complex than it once was, even if you really know your stuff. The ,ore I learn, the more terrified I become. 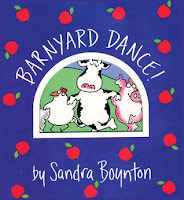 I have several CDs of Sandra Boynton songs/books -- they are excellent music for chore time. Looks like you had a good reading week, and that's a lovely video of a very small reader! I bet they are lots of fun to work to! The best thing about being a grandparent is having time to notice things that I was to busy to really pay attention to when my sons were small. 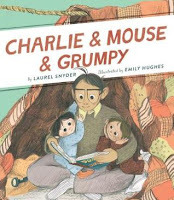 I really enjoyed Charlie and Mouse and have recommend the series to students. 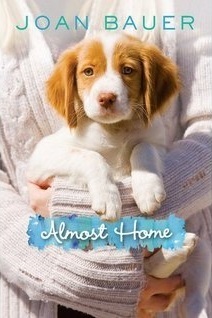 Almost Home is a book that I have had on my TBR list but haven’t read yet. Need summer to catch up! I plan to purchase copies of the series for my grandson who is a very gentle little person. I started reading Joan Bauer's work upon the recommendation of some students and have been reading her off and on ever since. I've been meaning to read a Shirley Jackson novel - I know that she is the Mistress of Horror, so I feel bad that I haven't even read her yet. Her work is just stunning Myra! 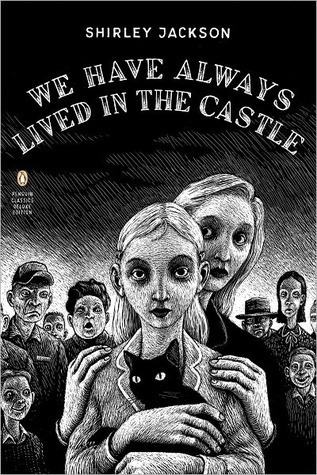 I am not a horror fan and ended up loving We Have Always Lived in the Castle.